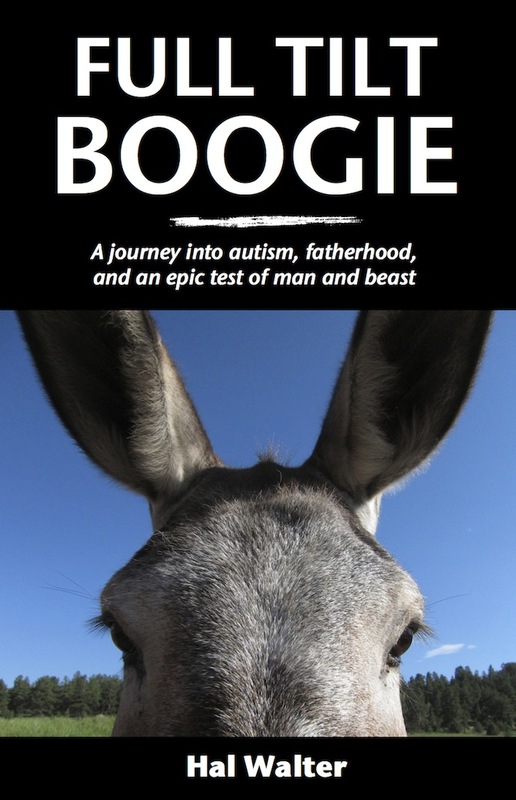 I’m not the most natural public speaker, but one of the things I’ve enjoyed since publishing Full Tilt Boogie — A journey into autism, fatherhood, and an epic test of man and beast is getting out and talking to folks about the book, and about the autism epidemic, living with autism and parenting, burros and pack-burro racing. Believe it or not, there is a parallel. I keep these things fairly low-key and informal, and seem to settle into a comfort zone by the time we get to the question-and-answer period, which I think is the most interesting part of my discussion. Frankly, I’m more concerned about what people want to know than what I have to say. Recently I had the pleasure to talk to a fairly large audience at the Scottish Rites Foundation Dinner in Pueblo. What was really cool about this was having the chance to thank members of the organization for the assistance they provide children who might not otherwise receive important speech therapy services from The Children’s Hospital. My son Harrison received two of these speech scholarships at a time when it was critical in his development, and also when we could not have afforded those services. Greenhorn Valley Library at 6 p.m. Wednesday, April 8. Pueblo West Library at 7 p.m. Monday April 13. Westcliffe Library Book Club, 11 a.m. Wednesday, May 27. If you’d like to host one of my talks contact me at jackassontherun@gmail.com. I’m good for groups of five to 100 in book shops, libraries, art galleries, luncheons, or wherever anyone wants to hear my story. Will do my best to promote it as well.